Nothing But Freebies: Coffee or Tea? 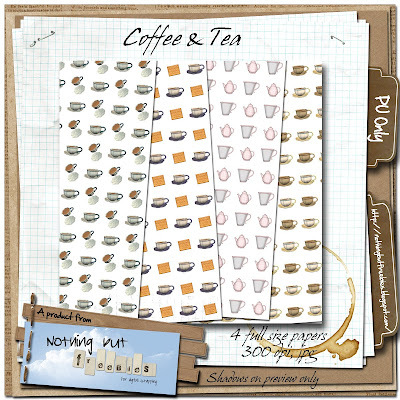 Here is a small paper pack with 4 papers patterned with coffee, tea and biscuits. Hope you’ll enjoy it - now or later. See you tomorrow for “A Little Bit”? These are great. Thank you so much for sharing.